Consignments are welcome. Sell your used gear or musical instruments through our store in a safe and confidential manner. We are always looking for unique and interesting instruments of all levels. Entry level, vintage, high-end, and anything in playable condition. Our consignment commission is 25%. Please call or email us for complete consignment details. “Hi, just a note to say check received on C-1842 Seagull Parlor Guitar sale. Your efficient and professional handling of the consignment sale of my two Seagull guitars was very much appreciated! All the best”, Bob B. 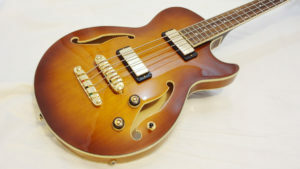 “I wanted to thank you for the effort you made to sell my instruments and get the best and fairest prices. It is much appreciated. Thanks again. Peace,” Kenny F.
We offer a 90-day layaway program. A 25% deposit is required to hold an instrument or gear. We offer appraisals for musical instruments and amplifiers. Written appraisals for insurance purposes are $35, verbal appraisals are $10 and appraisals for consignment instruments are free. Cash, Debit Card, Visa, Mastercard, Discover, American Express and Paypal. You can make a purchase by calling us during business hours at 360.385.1471 or email your request to, . We will then send you a link for you to make your payment via the “Paypal”. We ship via UPS and fully insure the instrument. Tracking information will be emailed to you as soon as the order ships. We also offer international shipping options. Any shipments made within Washington state will be charged 9% sales tax. We offer a $45 Flat-Rate shipping and handling fee on instruments over $1500. Additional fees apply for Hawaii, Alaska, Puerto Rico and International customers. If you need a shipping quote on an instrument please send us your zip code via the “quick contact” form below. We are authorized dealers for every new instrument we carry. The Manufacturer’s warranty only applies to musical instruments purchased from an authorized dealer. We also thoroughly inspect all our used gear and repair/restore them if needed. You can be 100% confident that when you buy from us your instrument is ready to play. We offer a 7-day approval period for musical instruments (except on Harmonicas, Microphones and Melodicas). You may return or exchange your instrument for any reason. All returns must be returned in the same condition they left Crossroads Music including all documentation, warranty cards and tags originally included. In the event of a return, buyer is responsible for shipping costs both ways and a 10% re-stocking fee will also be deducted from your refund. The re-stocking fee is waived on exchanges or for store credit, shipping costs are not waived. If you need to return or exchange an instrument please email us and we will email you a UPS shipping label. No Returns or Exchanges on Books, DVD’s, Harmonicas, Microphones and Windscreens. We offer better service through direct relationships with builders. We are not the biggest dealer, but our relationships with our musical instrument builders allow us to be better dealers. The accessibility of our American-based builders allow us to be more responsive to your individual tastes and needs. For example, a trip to the C.F. Martin factory allowed us to personally select the wood for the back and sides of two custom guitars built for our customers.